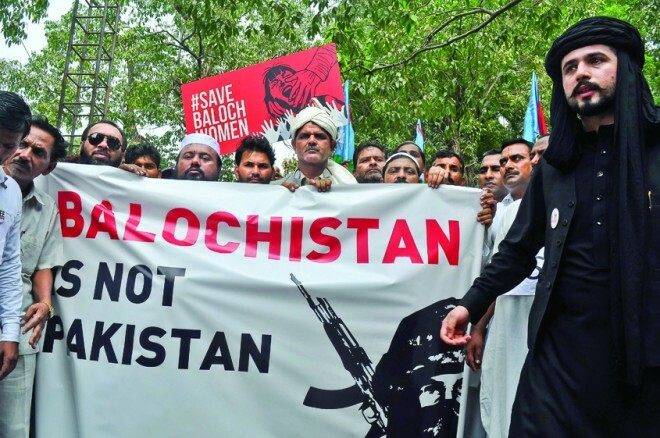 London, Mar 03: The Free Balochistan Movement (FBM) organisation on Saturday announced that it will organise protests and awareness campaigns in different places of the world on March 27 against the forcible and illegal occupation of Balochistan by Pakistan. In a statement issued to media, the FBM said, "Like every year, this year also the FBM will organise protests and campaigns in London, Europe, America and Canada to inform the world about the illegal occupation of Balochistan and the ongoing state atrocities from March 27, 1948, onward." "Pakistan has destroyed regional peace including in neighbouring Afghanistan and India, and it continues to initiate attacks through its Jihadist organisation. The world and neighbouring countries must understand that Pakistan needs to be leashed now to stop it from further destruction in the region," the FBM said in its statement. In 1948, Pakistan forcibly and illegally occupied Balochistan even though Baloch Parliament and people from different spheres of life including intellectual, political and tribal leaders unanimously rejected the idea of joining Pakistan on the basis of religion. However, Pakistan disregarded the collective aspirations of the Baloch nation and violated international laws by attacking and annexing a sovereign state. The organisation also said that the atrocities that Baloch nation is facing today are a continuation and the result of the illegal occupation of the Baloch homeland.